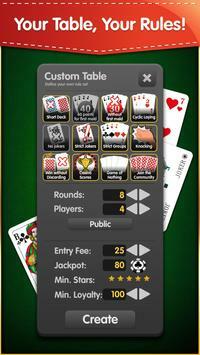 With Rummy Palace you can play live Rummy for free and without any advertisements. Find opponents from around the world. 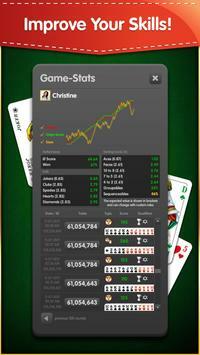 Thanks to thousands of members you will meet likeminded players online 24 hours a day for the popular live card game. Shuffle your deck with your favorite card design and step up in our free ladder system. Or join one of the famous card clubs and find new friends to play with. Our standard tables are set to the most popular version of Rummy rules, but we also offer tables with custom rules like ‍nocking, ‍Cyclic Laying, Without first meld and many more. RummyPalace is intended for an adult audience and does not offer any real money gambling nor is it possible to win real money. Practice or success at RummyPalace does not imply future success in real Rummy. 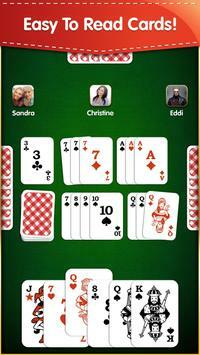 Please review Rummy (Free, no Ads) Game and submit your comments below. We will collect all comments in an effort to determine whether the Rummy (Free, no Ads) app is reliable, perform as expected and deliver the promised features and functionalities.